Arise, shine, for your light has come, and the glory of the Lord rises upon you. Arise Sister, you are highly favored. Arise, you are known by Him and lacking in nothing. Arise, you are alive to God. Arise, you can do all things in Christ. Arise, you are declared holy. Arise, everything works in your favor. Arise, you are of sound mind. Arise, you are sanctified. Saved. Sealed. Sweet sister, you are healed. Arise, Christ is at work in you. He is for you not against you. Arise, all grace abounds toward you. Arise, you are a new creation. Arise, you are the apple of his eye. Arise, you are blessed with all spiritual blessings. Arise, you are a disciple. You are elect. You are enriched. Daughter of the King, you are faithful. A fellow citizen. You are free. You are free from sin. He’s freely given you all things. You are a friend of Christ. Arise, you are protected, purified, raised with Christ in resurrection light. Arise, you are a warrior. Arise Sister, you are absolutely worthy of the Lord! I pray this Easter season you know just how loved and valued you are by your Savior, Jesus Christ. *These statements come from a piece of artwork found at Elmbrook Church in Brookfield, WI. I have modified them for this post. Be A "Spur On" Conference Sponsor or Vendor! APPLICATIONS TO BE A SPUR ON CONFERENCE SPONSOR OR VENDOR ARE CLOSED. Attention women, young women, and girls too! Holy Hen House is currently planning our first Spur On Conference! 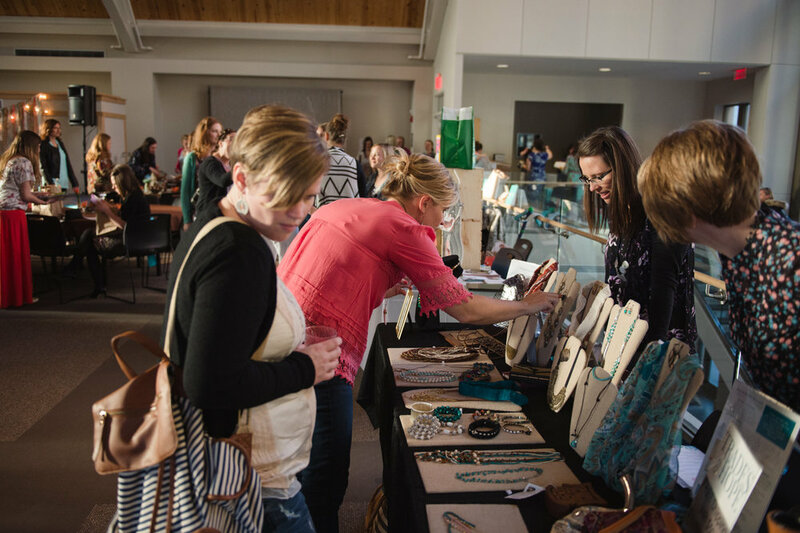 This 1-day event will launch girls and women on mission with Jesus. Our goal is to bring girls and women together with the message that our faith and lives are purposeful even now! Together we can impact generations in the Word. Our value is not found in the approval of others or in being desired. Whether we are single, married, or mothers we have influence right where God has planted us. If we aren't intentional in nurturing the relationships of sisterhood then it won't happen. We all are one in mission. Let's be the change! Spur On Conference will be held on Saturday, June 22nd at Kettle Moraine Lutheran High School from 9am-4pm in their beautiful Performing Arts Center! and most of all - the confidence to walk the talk with Jesus in our stride. We love to share other Christian faith based businesses, resources, and ministries with our attendees. If you support women on a mission and it sounds like you fit our demographic, keep reading! Application deadline is Friday, April 12th. SELECTED SPONSORS + VENDORS WILL BE ANNOUNCED April 22nd! We will announce more "Spur On" Conference details as the event draws near. Keep updated and invite your friends on our Facebook event page here! I am a millennial who was in high school when Facebook was getting big, but we still only had flip phones that took horrible photos. For this I am grateful. Whenever Facebook reminds me of statuses I posted during high school, I cringe. Dumb, cryptic song lyrics about how I was feeling; literal, boring answers to “What are you doing?”; and lots of complaining about homework. The saving grace is that it was harder to post pictures back in 2008, when I had to plug my actual camera or memory card into my family’s home computer, save the file, and then upload the picture to my Facebook albums. I have plenty of pictures from that time period, but many of them are safe from public viewing. Facebook has a little reminder feature that shows you what you posted On This Day of the year in past years. Sometimes I love seeing those Memories, but sometimes I hate it. The Lord is good and gracious that I don’t have to look back on a million selfies of me and my friends with our acne, braces, and flare jeans too often. Because my high school photos were not obsessively shared, I now don’t have to be reminded of them every year. Occasionally an old picture resurfaces and we laugh about it, but there’s no need to reminisce about those awkward years where I teeter tottered between thinking I knew everything and feeling inadequate in everything. I don’t want to imagine about what I’ll think when I’m even further removed from my high school years. I’m sure it only gets more embarrassing and humbling. But what about the memories it does notify me to remember? The Facebook algorithm doesn’t care if it’s reminding you of a sensitive subject, an emotional season, or bad choices you’d prefer to forget. Birthday reminders for a family member who has passed away. Auto-created friendship anniversary videos of people who are no longer in my real life. Old statuses about things I was excited for that did not end well. Things I posted that were so obviously trying to be cool or get a little approval. Remembering can be hard because it shows us our human failures and weaknesses. But it’s not all bad memories. Sometimes it reminds us of really good events and seasons. People starting families and then seeing posts years later of these little babies that are not so little anymore. Successes we had that meant the world to us. I follow along with my semester abroad every January through May as it shows me pictures of what I was doing in England or Europe on this day, 4, 5, 6 years ago. Some days I smile for the fun and blessings I had. Some days I cry for what used to be mine but is no longer. Remembering can be hard on us mentally when it makes us compare our present with our past. Whatever you did on this day five years ago my have been great. Praise the Lord for that! But it’s so easy to wish we were there now and think life would be so much better if I was doing that, was living there, or was with those people. It’s bittersweet. Remembering is actually talked about in the Bible a lot. We plead for God to remember us in our troubles or to show mercy and remember our sins no more. God also tells us to remember both the good and the bad. We remember past tough seasons to see how God has carried us. Sometimes we push those painful memories aside and forget what God has done to bring us back from that pit. We start to think we got to where we are through our own strength and smarts. But we need that humbling act of remembering where we used to be to understand how far God has brought us and that it’s his name that should be praised. It might even help to jot down or journal about those hard times of your life pointing out what God has done for you since. Record your journey during a season where you feel strong and held up by the Lord, during a time where you can clearly see what God was doing in your life. There will come another season when you need to read this back to yourself. But maybe you’re not currently on the other side of a bad situation. You’re still sitting in the dark valley all while seeing pictures and statuses of your days in the sun. The same remembering can lead you back to the positive path. If you have a record of God’s goodness, you know he has the power to do it again. It’s a pep talk to yourself, prepared in the good days so that you can face the bad days. When you’re in a bad place, sometime the last thing you want is a well-meaning friend to tell you it will get better. Even hearing from someone else that God loves you can be hard when you simply don’t feel it and can’t force yourself to believe it. But we tend to place a little more stock in things we say about our own lives. Sometimes the best advice in a current struggle is a note from your past self that says you will get through this. Write your own personal self-help book, which is really just pointing out God-help. List how God has proven who he is to you in concrete ways. Those Bible verses were true when the were written, are still true for us today, and will always be true in the future. If you don’t want to write your own journal of God’s redeeming power in your life, then read the Bible for the best examples and way to remember. While we may look back in embarrassment or shame about our pasts, God does not because Jesus took all of that away by paying for our sins once and for all. God knows who you will yet become. He sees the end of your journey and knows that while challenging, our struggles are preparing us for something greater than this life. and put me in a spacious place. The Lord is for me; I will not be afraid. What can a mere mortal do to me? let us rejoice and be glad in it. Lord, please grant us success! A favorite song of mine right now is Lauren Daigle’s “I Remember.” (Click here to listen!) Sing to God no matter what this day brings or what our past digs up. He has always been faithful. Why Does God Remember (Insignificant) Us? Out of ten billion galaxies why did God choose earth? Descending from his powerful throne, why Immanuel through birth? Was it a mistake, in a perfect garden to give man-kind free-will? Did Eve in sin realize the debt He would fulfill? The complexity of human life confuses explanation. The Lord’s omniscient wisdom is beyond imagination. Why the promise, the exchange, the cross, the assurance of salvation? Move us God, to share the plan of grace to every nation. But Christ’s willing sacrifice has overcome sin’s darkness! Now He soothes our anxious hearts, not leaving us alone. Spirit, guide our footsteps until we reach our heavenly home. the son of man that you pay attention to him! “Why do I have to make everything so complicated?” I asked myself as I was trying to figure out the details of my son’s birthday party. My son’s birthday falls two weeks after Thanksgiving (a holiday we host every year) and two weeks before Christmas (a holiday we were hosting for my husband’s side this particular year). The holiday season is hard enough on all of us, but to host three large gatherings every two weeks during the most hectic time of the year, I was feeling overwhelmed and burnt out. For months I had been hearing a voice inside saying “it really is simple” and for the life of me I could not figure out what this voice was referring to. Over and over again I would find myself lying in bed at night, walking on the treadmill at the gym or standing in the shower and this voice would pop up speaking simplicity into my soul. I decided one night to really give it to God and ask what on earth I was supposed to do with this message. The next two weeks I spent a lot of time praying about what specifically I needed to simplify. One look around my house told me I had WAY too much stuff (especially after just having a December birthday party and celebrating five, yes five, family Christmases)! But I knew there was more I was being called to simplify. 2018 was an exciting year for our family, we welcomed our nephew into our home while my sister was deployed to Iraq, and we also welcomed a new baby in the fall. There was a lot of change and, while it was all positive, the impact it had on our family life and my sanity (if we’re being honest) wasn’t always cheerful. With three kids under the age of three I recognized very quickly that my parenting style was best described as “survival mode” and my relationship with my husband was, at best, lukewarm. It’s not that we weren’t a team or no longer in love, but we were running on fumes most days and hadn’t spent much time investing in our marriage. These were all areas I knew I needed to spend time nurturing but if I thought I felt overwhelmed in the month between Thanksgiving and Christmas, trying to determine how I was going to work on every area of my life and home was starting to feel like too much. Yet the voice persisted, “it really is simple”. The first Sunday of the new year I was sitting in church and our sermon that weekend focused on a marriage that works. Our pastor asked us, speaking of our marriages, “are you enduring or are you enjoying?” and I recognized that this question is applicable in every aspect of my life. Am I enduring parenthood or am I enjoying parenthood? Am I enduring a cluttered house or am I enjoying this space as a place where love and joy can flourish? Am I enduring feeling sluggish and tired or am I enjoying this body as a temple where the Holy Spirit dwells? Am I enduring my life on earth as a Christian or am I enjoying the rich and full relationship God has called me to with him, through Jesus Christ. God isn’t asking me to be the perfect Christian, the perfect wife, the perfect mother, sister, friend, etc. God is asking me to turn back to Him; to start with him and to watch how he can help everything else to unfold. He’s reminding me (over and over again in his word) that he loved me SO much, he gave up everything for a relationship with me and in turn, he’s asking me, very simply, to love God FIRST and then to love others. He’s asking me to put HIM before the birthday party details, before the laundry list of things I think I need to be doing, before the “stuff” and before my unrealistic expectations of other people (especially my poor husband). See, what I found was that the more I let things clutter my space and my mind, the more out of control and complicated things become. By ridding myself of the things that are taking up unnecessary space in my home, heart and mind, by handing them over to the one who has it already figured out (see Jeremiah 29:11), I can spend more time focusing on being who he called me to be. So, while I’m not one for resolutions I am working on simplicity, or actually- just making things less complicated. I’m working on turning my home from a vessel of items to a place where my marriage and children can flourish, where guests feel welcomed and loved. I’m working on making parenting less complicated (which actually starts with bored kids – maybe a topic for another post?) and taking time each day to enjoy the gift of being loved, so very loved, by God. I’ve got little notes all over my house with three simple words: “return to me”, as a way to continually turn my thoughts in every situation back to Christ. To think that God has found a way to use a couple of post-it notes to help me take captive my thoughts is nothing short of incredible. While not always easy, it really is simple. Tickets and more information here! Sign up here to receive posts in your inbox and our "chatter that matters" newsletter! You won't miss a peep! Thank you dear sister in Christ! We promise to honor your inbox and not pack it full with more spam or noise. We share chatter that matters!